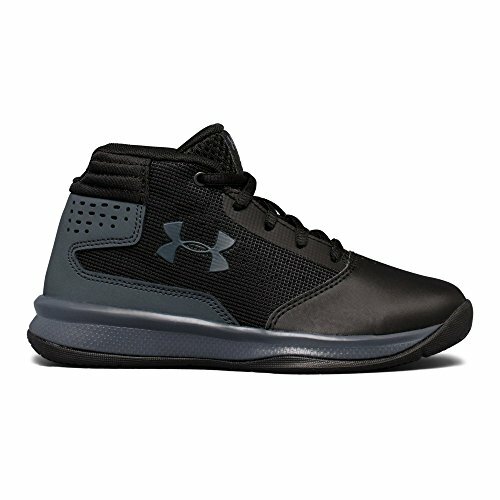 Leather upper with molded quarter panels built for breathable, structured support that comfortably locks in the foot. Engineered perforations & mesh tongue increase overall ventilation. Full-length, die-cut EVA sockliner with antimicrobial top cloth to minimize the risk of odor causing bacteria. Full-length EVA midsole delivers a lightweight, comfortable ride. One-piece solid rubber outsole with herringbone traction pattern provides exceptional grip & control on the court.